British Cycling MTB Night Leadership award training and assessment.British Cycling MTB Night Leadership award training and assessment. 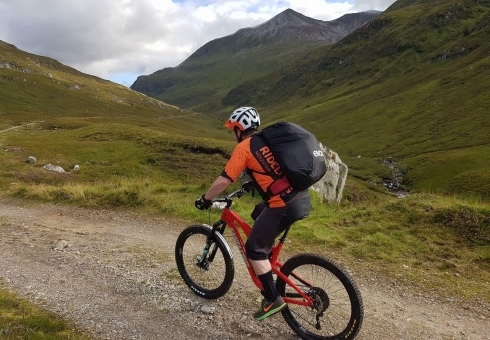 The Mountain Bike Night Leader Award enables existing Scottish Cycling and British Cycling qualified mountain bike leaders and Trail Cycle Leaders to lead beyond the hours of daylight extending the opportunities for your groups to ride through twilight and darkness. Night Leaders are able to offer amazing mountain bike experiences for their groups during evening and night rides throughout the year. This is ideal for those leaders who want to lead in the darker months of the year and provide new and exciting experiences for those you lead. WE ARE ONE OF THE COUNTRY’S TOP PROVIDERS FOR TRAINING AND ASSESSMENT. The Night Leader Award is aimed at qualified mountain bike leaders with substantial night riding experience looking to lead groups and individuals confidently and competently after sundown. Leaders retain their ability to lead in the same conditions as their primary mountain bike leadership award, extending their capacity to lead beyond the hours of daylight. The night leading award is for already proficient Leaders with substantial experience of riding in dark conditions. The training and assessment courses build on the skills, knowledge and experience that previous qualifications and leading has provided. NIGHT LEADING IS OPEN TO ALL EXISTING MTB LEADERS. 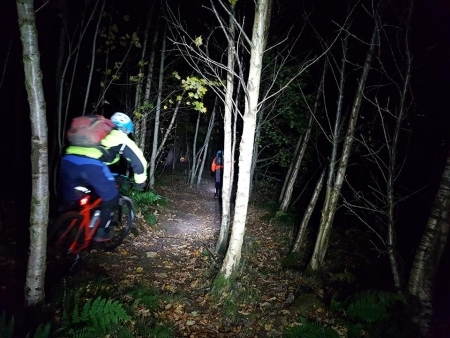 Night Leading training and assessments are open to the holders of MBLA Trail Cycle Leaders (TCL), Mountain Bike Leaders (MBL), and British Cycling Level 2 and level 3 Mountain Bike Leaders. 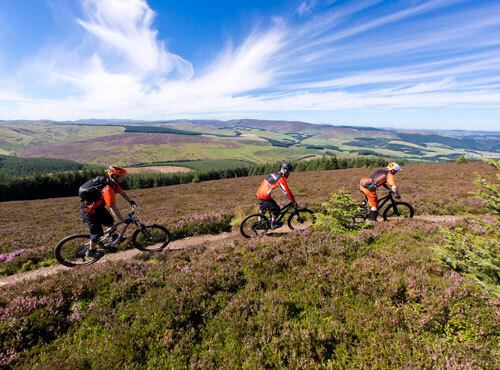 Registration for the British Cycling Mountain Bike Leaderhsip scheme is required, which all holders of level 2 and level 3 MTB Leadership, have already done. Holders of TCL and MBL will have to register. AM I READY FOR THE TRAINING OR ASSESSMENT? If you want to talk through your suitability for the Night Leading award before applying, contact us and we’ll be happy to discuss your questions. Once you have registered, you will receive the detailed handbook which contains everything you need to know about Night Leadership.. You should familiarise yourself with the content of the handbook before attending the course. You will need a valid first aid certificate to undertake assessment. It is possible to go straight to assessment if you can demonstrate competence in all assessment criteria. Contact us for more information. Classroom location and course details will be provided on booking. See listed course dates or get in touch to arrange a closed course or assessment for your group. Basics: Suitable MTB in good working condition, Helmet, Gloves, Rucksack, Refreshments & food, spare clothes / layers, Waterproof jacket. Check your Night Leadership handbook for full kit list required. Be registered on the British Cycling Mountain Bike Leadership Award Scheme. Holders of the Level 2 or 3 qualifications will already have completed this. Holders of TCL or MBL Awards will need to register, where they haven’t previously. Glentress, Innerleithen, Tweed Valley, Scottish Borders. 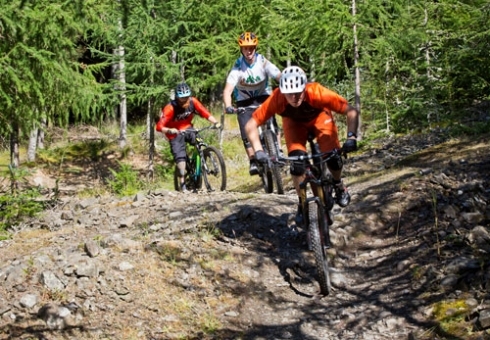 Our courses run from the Mountain Bike Centre of Scotland based at Glentress Forest Peel Offices. Sessions generally run from Glentress Peel Centre. Training and assessments are undertaken on a variety of natural terrain in and around the Tweed Valley. Classroom location and course details will be provided on booking. Max group for training is 6. Max group for assessment is 4. 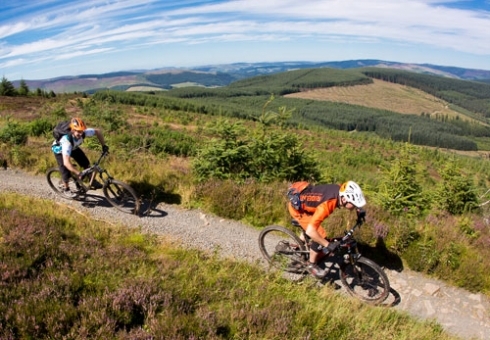 Riding takes place around Glentress, Peebles, Innerleithen or hand picked trail in the Tweed Valley. Training and Assessments start around 2pm and run until around 10:00pm each day. Times can vary as nighttime hours change. 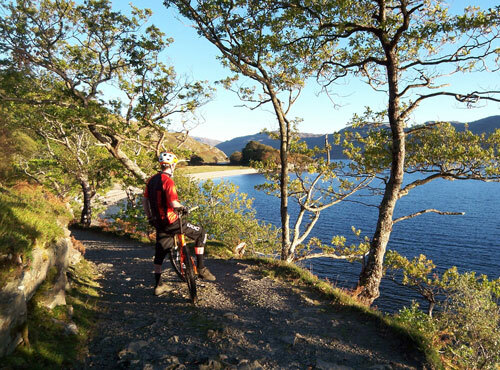 British mountain bikers are well-equipped, highly-skilled and looking for new challenges. The Level 3 Mountain Bike Leadership Award enables the most experienced leaders to take these groups and individuals on demanding wilderness rides in the most remote corners of the country. Far from civilization and really out there, these leaders are the exception to the rest. They are the very best. The level 3 Mountain Bike Leader award is a tough, but ultimately rewarding experience and the very pinnacle of MTB leadership qualification. Great leadership starts here with the level 1 BMBLA. The aim of the level 1 award is to up-skill members of staff or volunteers. Either from a basic level of MTB proficiency or from ‘in-house’ training. The Level 1 Leaders will be trained to a standard that enables them to lead introductory level mountain bike rides on limited pre-determined routes in a safe and enjoyable environment. There are very few prerequisites or existing skills required to train for this award. If you work for a charity or need a qualification for curricular use, the Level 1 BMBLA may be for you. LEAD ON MORE CHALLENGING TERRAIN WITH THE LEVEL 2 BMBLA. Great leadership begins with this industry standard qualification. When operating in the great outdoors it is crucial that a mountain bike leader is properly trained and qualified to deal with all eventualities. The Level 2 qualification provides expert advice to enable you to be confident as a leader in a variety of terrain, while allowing you the freedom to tailor rides to suit you and your group’s needs. Confidently plan and lead rides that cover more distance and more varied terrain with the the tools you’ll get on this course.